Get Verified Microsoft SharePoint Users Email List and Boost Your ROI !!! Take your business to new heights with the Optin Contacts Microsoft SharePoint Users Email List. Our Microsoft SharePoint Users List is the most accurate and verified list of contact details of the key business decision makers of organizations using Microsoft SharePoint. Reach out to the right inboxes, eyes, and ears of the top level managers with the authority to take purchase decisions. 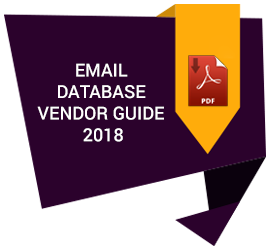 Eliminate the frustration of having to sort through a voluminous generic database which is mostly always filled with dead and inaccurate data. Why waste precious manpower and marketing budget targeting these dead and irrelevant data when you have the option to have at your disposal the most accurate and updated Microsoft SharePoint Customers List from us. At Optin Contacts we bring you the contact details of the Microsoft SharePoint Users from USA and Canada, UK, Germany, France, Italy, Japan, Malaysia, Singapore, Asia Pacific and Australia. Our Microsoft SharePoint Customers List is suitable for all channels of communication such as email marketing, direct mailing, telemarketing, postal marketing, etc. The Microsoft Office SharePoint Server (MOSS) is the browser-based collaboration and document management platform from Microsoft. It allows groups to set up a centralized, password-protected space for document sharing. Documents can be stored, downloaded and edited, then uploaded for continued sharing. It offers the user access to Versioning and Check-in/Checkout functionality. Reach out to the global community of Microsoft SharePoint Customers and give your marketing campaign the extra boost it needs to acquire new clients and prospects. Our detailed Microsoft SharePoint Users Email List contains different fields of information such as First Name, Last Name, Title, Email Address, Company, Address, City, State/Province, ZIP/Postal Code, ZIP4, Country, Phone, Fax, Employees, Sales, SIC Code, Primary Industry, NAICS and Web Address. We give all persons mentioned in the list the option to choose to be included in the list through the process of double opt-in. This way we ensure that the persons who are included in the Microsoft SharePoint Customers List are truly Microsoft Office SharePoint Server Users or are interested in receiving industry updates and promotional emails related to Microsoft SharePoint Servers and related technology. Don’t let inaccurate data be a hindrance to your company’s success. Invest in our Microsoft SharePoint Users Email List today and see your ROI increase steadily. Our team of dedicated data analysts will help you structure your marketing campaign after conducting a thorough market analysis.